Weekend Event! Extra Gold Ticket Chance in Crates! Weekend Event! Extra Gold Reward Chance! It's time for another weekend event! 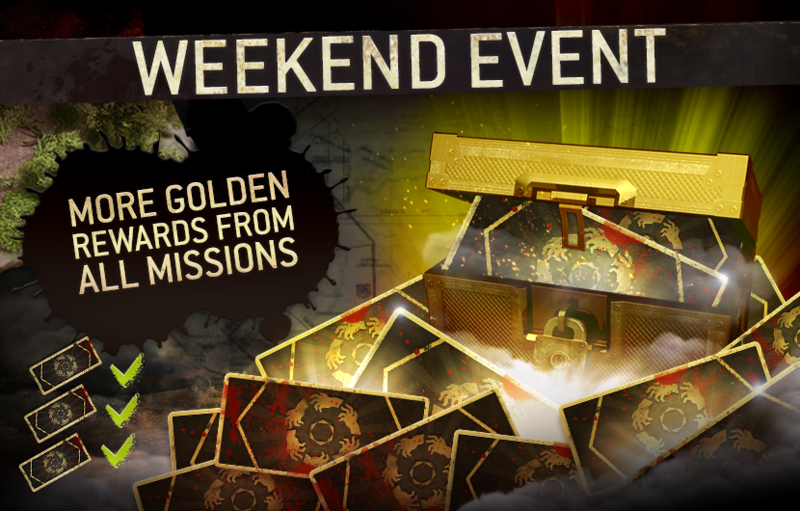 Starting Friday at 01:00 EST / 07:00 UTC, all mission loot crates have an increased chance of unveiling golden rewards! This event will end on Monday morning at 01:00 EST / 07:00 UTC, so get grinding folks!